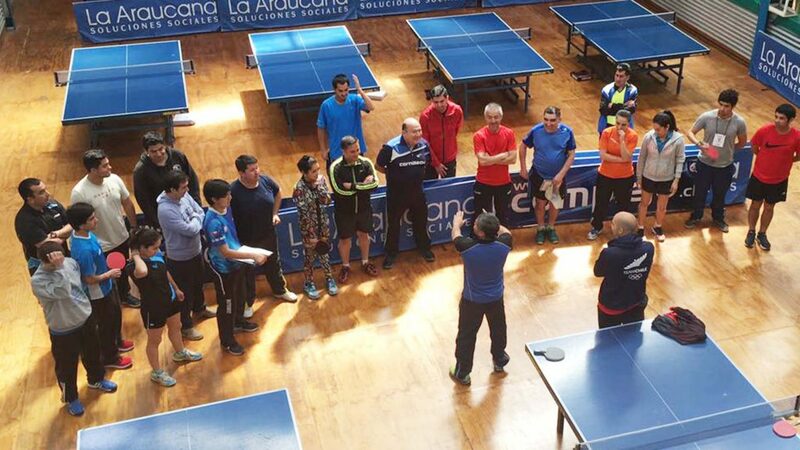 Natalia Castellano, Paulina Vega and Alejandro Rodriguez, all members of the Chilean national team, were three of the most notable names to attend a recent ITTF/PTT Level One Course in Concepcion, an area devastated by the 2010 Chile earthquake. 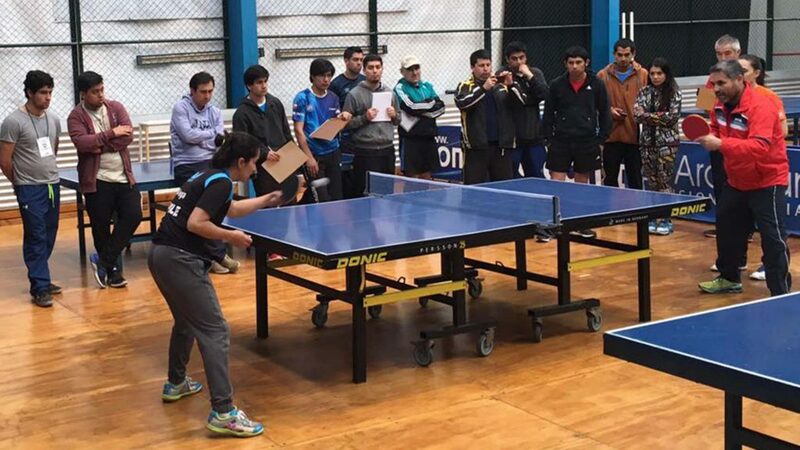 Organised under the auspices of the ITTF Development Programme and administered in conjunction with the Latin American Union, alongside the Chilean Table Tennis Federation and Chillan Table Tennis Association; self-funded proceedings commenced on Wednesday 26th October and concluded on Sunday 30th October. 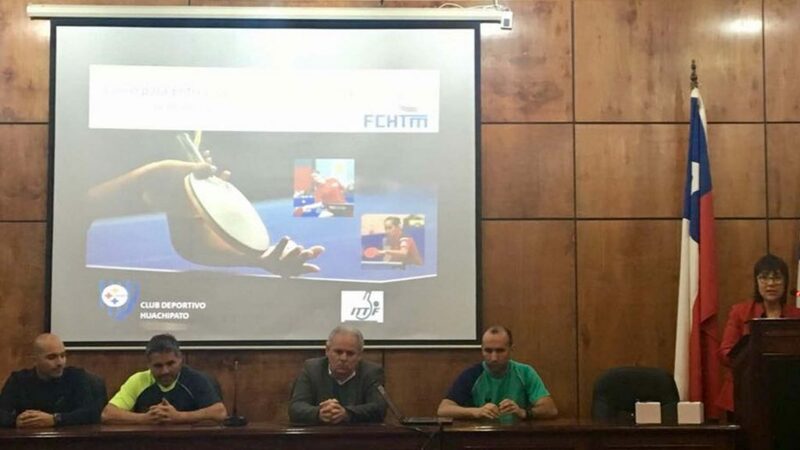 The expert of the course was José Luis Urrutia, the Chilean women team national coach; he was assisted by Pablo Lopez, the Paralympic national coach. 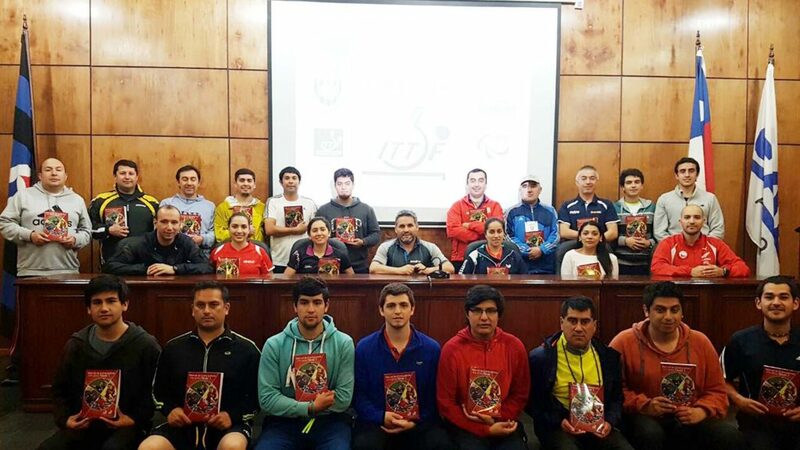 A total of 25 participants attended with, in addition to Chillan, course members travelling from Angol, Chaiten, Concepción, Malleco, Osorno, Pitrufquen, Punta Arenas, Santiago and Temuco. 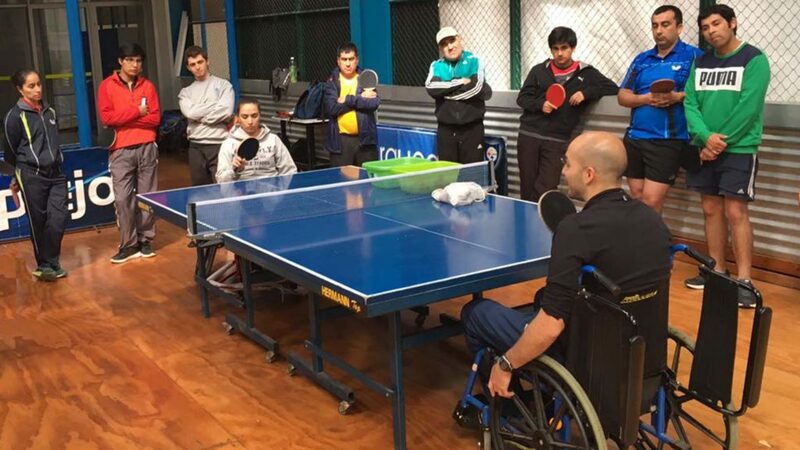 Undoubtedly Paulina Vega, who alongside husband, Alejandro Rodrigues and Romina Concha Sepulveda, the Promotion and Media Director for the Latin American Table Tennis Union, helped organise matters locally, was a most a most prominent name. She competed in the Athens 2004 Olympic Games and two earlier the runner up in the Dominican Republic at the 2002 Latin American Championships. However, she was not alone; one name to attract the attention was that of Washington Iturra, a football referee in Chile’s top league for 15 years. Names who have achieved in sport at a high level; from a different perspective there were two further most worthy and most welcome students, Luis Rogel and Fredy Mansilla, both teachers. They travelled from Chaiten in the far in the south of the country; the town was covered in ashes and almost destroyed by a huge eruption of Chaiten Volcano in 2008. The ash cloud of 2008 reached Santiago and Buenos Aires; now people are returning to rebuild the town. The Deportivo Huachipato Club, an organization with a long tradition of success, was the host throughout the whole course.